It’s better to be controversial for the right reasons than to be popular for the wrong reasons. This entry was posted in Law, Politics & Military and tagged Belarus, Belorussian Jews, Congressional Gold Medal, Dimona, Entebbe, Foreign Minister, Founding Father, France, Haganah, Harvard, Holocaust, IDF, Israel, Israeli Navy, Jewish Knight, Jordan, Knesset, Labor Zionist, Legion of Honour, Mapai, Member of Knesset, Minister of Defence, Minister of Finance, New York University, Nobel Peace Prize, Oslo Accords, Peres Center for Peace, Poland, President, Presidential Medal of Freedom, Prime Minister, Russian Jews, Shimon Peres, Shtetl, Tel Aviv, Zionist on September 29, 2016 by Jew of the Week. 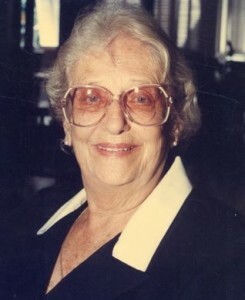 Janet Rosenberg (1920-2009) was born in Chicago, the granddaughter of Jewish immigrants from Romania and Hungary. As a young nursing student she met a Guyanese dentist, Cheddi Jagan. 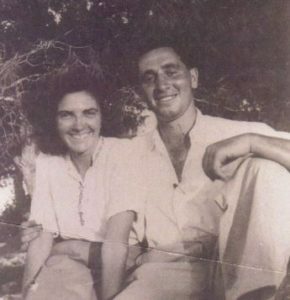 The two got married less than a year later, and moved to Guyana, where Rosenberg worked as a nurse in her husband’s dental clinic. Meanwhile, the couple joined the British Guianese Labor Union and were very active in the political scene. Rosenberg founded Guyana’s Women’s Political and Economic Organization, and its Political Affairs Committee. Shortly after, she and her husband co-founded the Marxist-Leninist People’s Progressive Party (PPP), with Janet serving as its General Secretary. Soon, she was elected to the City Council of Guyana’s capital, Georgetown. From there, she moved up to the House of Assembly, and was appointed Deputy Speaker. However, for vocally opposing British colonial rule over Guyana, the Jagans were both jailed for 5 months, then kept under house arrest for another 2 years. After finally being freed, Rosenberg won back her seat in the Assembly and was appointed Minister of Labour, Health and Housing. In 1973, she was elected to the national parliament, and was re-elected three more times, making her the longest serving parliamentarian in the country’s history. In 1992, her husband became Guyana’s president, and after he passed away in 1997, Janet became the country’s prime minister and vice president. She won the national elections later that year and became president herself, making her just the third woman (and coincidentally, the third Jew) to head a nation in the Western Hemisphere. At age 79, the popular Rosenberg resigned her post due to health problems. She continued to serve in the government, and was still on the PPP’s Central Committee until shortly before her passing, at age 88. Aside from government, Rosenberg worked hard to expand the Guyanese literary world, and to make books available for Guyana’s children. She wrote several of her own books, and was the editor of the PPP’s newspaper for over 20 years. Rosenberg received Guyana’s highest honour, the Order of Excellence, along with a UNESCO award for her efforts on behalf of women’s rights. Greater is hospitality to wayfarers than receiving the Divine Presence. This entry was posted in Law, Politics & Military and tagged British Empire, Chicago, Georgetown, Guyana, Guyanese Jews, Head of State, Hungarian Jews, Nurse, Order of Excellence, People's Progressive Party, PPP, President, Prime Minister, Romanian Jews, UNESCO, Women's Rights on December 23, 2015 by Jew of the Week.